Narjis expertise in online Matrimonial industry projects. 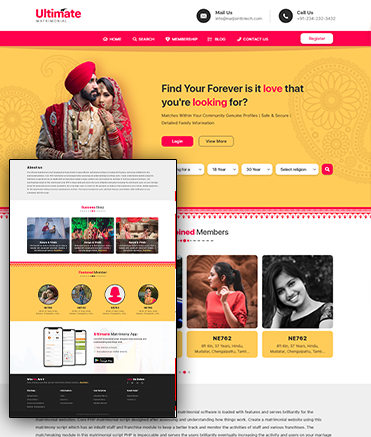 When we search the firms for matrimonial services, Then the first prime thing is their reputation. Our clients are the reputed for their matrimonial services in PAN India. Narjis grasp the significance of privacy and security, thus We focus relentlessly on security of our projects . We prefer to go extra mile to assure that each identity is kept safe and private in our system. 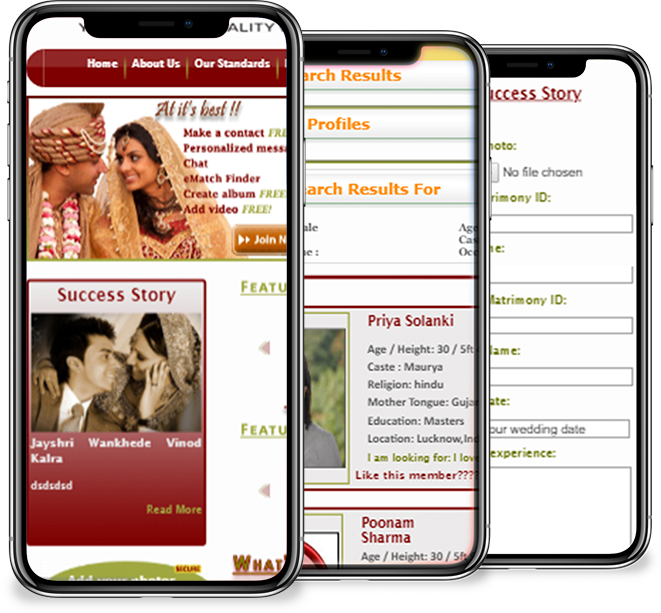 System we created for our clients verify all details and information like nature, persona, finance status , professions , reputation and lot more of the each one and their family. Our client are respected firms for providing online matrimonial services in Pan India. we do not leave the chance of creating perfect online system for them, rather; we update our technologies and ways for following with their preferences and requirement for their successful business system. And Our dedicated Tech team make sure each detailed requirements are executed perfectly. 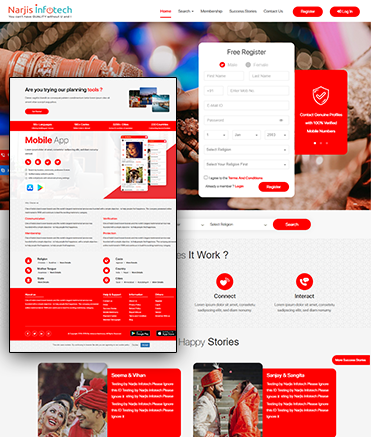 We provide four types of Matrimonial sites , which has various versions and features. Take a look. 1. Tell Us More About Your Project. 3. Share Reference You Like. Narjis Infotech is rapidly blooming web development firm with experience of more than 10 years that don’t just provide web solutions but collaborate and form the business firms from diverse industries. We have dedicated team that is driven by dreams and digitally obsessed to provide all-inclusive business resolution for our clientele.